M/s. Bhuwalka Steel Industries Ltd. and Another Vs. Union of India and Others . Respondent: Union of India and Others . 2. The appellants in Civil Appeal No.7823/2014 M/s. Bhuwalka Steel Industries Ltd. originally owned three (3) industrial units (Hot Re-rolling Steel Mills) located in the State of Karnataka. Subsequently, two of those units came to be acquired by the appellants in the other two appeals in this batch. Further details of the acquisition may not be relevant for the purpose of this judgment. 3. The production activity carried on by the three industrial units of these appellants is subject to levy of excise duty under the Central Excise & Salt Act, 1944 (hereafter ‘THE ACT’). Section 3 of THE ACT is the basic charging section. by a hundred per cent export-oriented undertaking and allowed to be sold in India. Explanation 1. “ For the removal of doubts, it is hereby clarified that for the purposes of Section 3 of the Customs Tariff Act, 1975 (51 of 1975), the duty of excise leviable on the notified goods shall be deemed to be the duty of excise leviable on such goods under the Schedule to the Central Excise Tariff Act, 1985 (5 of 1986), read with any notification for the time being in force. Section 3A authorised the identification of a certain class of goods and levy and collection of excise duty on such goods otherwise than in accordance with the scheme of levy and collection contemplated under Section 3 of THE ACT. It appears from the language of Section 3A, Parliament believed that manufacturers of certain classes of goods are evading payment of excise duty. It authorised the Government of India to identify the goods, the manufacturers of which are resorting to evasion of excise duty. Section 3A(1) stipulated that such identified goods are to be notified in the Official Gazette (hereafter “NOTIFIED GOODS”). Section 3A(3) as it stood at the relevant point of time stipulated that the Central Government may by a notification in the official gazette specify the rate of duty to be levied on NOTIFIED GOODS and the method and manner of the collection thereof. In other words, notwithstanding the prescription of the rates of duty pursuant to Section 3 and the procedure for the assessment of duty liability and the mode of collection of such assessed duty, Government of India is authorised under Section 3A to prescribe different rates of duty and different modes of assessment and collection of duty on the NOTIFIED GOODS. Under sub-section (2), the Government of India was authorised to make rules providing for either the determination of the “annual capacity of production” (hereafter ACP) or ‘the factors relevant to the ACP’ of the factory in which NOTIFIED GOODS are produced. The determination of the ACP is required to be made by the “Commissioner of Central Excise”. It further declared that a factory where ACP is determined shall be presumed to annually produce the NOTIFIED GOODS equivalent in quantum to its ACP. Sub-section (4) stipulates that in a case where an assessee “claims that the actual production of his factory is lower than” the ACP, the assessee is entitled to seek the determination of the actual production of the NOTIFIED GOODS in “his factory” by adducing appropriate evidence. Upon such claim being made, the Commissioner of Central Excise is required to determine the actual production of the assessee’s factory and also “redetermine the amount of duty payable by the assessee with reference to such actual production”. 5. Admittedly, the goods manufactured by the three appellants fall under the same class and described under the Excise Tariff Act as “non-alloy steel hot re-rolled products” and they were NOTIFIED GOODS at the relevant point of time. 6. In exercise of the powers conferred under Section 3A(2) of THE ACT, a set of Rules came to be framed by the Government of India w.r.t. the goods manufactured by the appellants before us known as the Hot Re-Rolling Steel Mills Annual Capacity Determination Rules, 1997 (hereafter “RULES of 1997″) under a notification dated 1.8.1997. Initially, the said notification contained four Rules for “determining the annual capacity of production of a factory” with the aid of “hot-Re-Rolling Mill”. 8. It is also necessary to take note of the fact that a set of Rules known as Central Excise Rules, 1944 were framed by the Government of India in exercise of the power conferred under various provisions of the Central Excise Act, 1944. Rule 96ZP of the said rules prescribes an elaborate procedure to be followed by the manufacturers of ‘Non-Alloy Steel Hot Re- rolled products” falling under various heads of the Excise Tariff Act, 1985. The said Rule occurs in Chapter XI of the Rules of 1944. Chapter XI was inserted in the Rules w.e.f. 01.08.1997. 9. Section 3A(3) authorised the Central Government to specify the rate at which the central excise duty is leviable on NOTIFIED GOODS by notification. Obviously, it is in exercise of the power under Section 3A(3), Rule 96ZP was made prescribing a fixed rate of duty per metric tonne on the goods manufactured by the appellant. It provides for the levy of excise duty at different rates on the goods falling under the same description at Rs.400/- and Rs.300/- per metric tonne respectively under Rule 96ZP(1) and (3) depending upon the assessee’s choice regarding the time of the payment of duty. Rule 96ZP seeks to levy the excise duty at a concessional rate of Rs.300/- per metric tonne. 11. Undisputedly, Rule 96ZP is applicable to the products of the appellants herein. It is sufficient for our purpose to note that under Rule 96ZP(1), the manufacturer of the goods falling under the ambit of Rule 96ZP is required to debit an amount calculated at the rate of Rs.400/- per metric tonne on the “non-alloy steel hot re-rolled products” at the time of the clearance of the goods from his factory. Under paragraphs I and II of Rule 96ZP(1), the manner of payment of the duty so debited is stipulated. For example, for the period commencing from 1st September, 1997 to 31st March, 1998, a manufacturer is required to pay by 31st March 1998 a total amount calculated at the rate of Rs.400/- per metric tonne on the ACP of his factory. The full details of the other paragraphs of sub- rule (1) may not be necessary for the purpose of this judgment. 12. Under sub-Rule (3), a manufacturer is given an option to pay the duty in 12 equal monthly instalments. It further stipulates that if a manufacturer chooses to pay the duty on monthly basis, the same shall be calculated at the rate of Rs.300/- per metric tonne multiplied by the ACP of the factory. Each instalment is payable on or before the 10th of each succeeding month. In other words, sub-rule (3) provides for the levy of a concessional rate of excise duty on manufacturers who are willing to opt for a scheme of making the payment of tax on a monthly basis instead of postponing the payment till the end of the year as prescribed under sub- rule (1). However, sub-rule (3) also imposes a limitation on those manufacturers who opt for the benefit of a reduced rate of duty by disabling them from availing the benefit of the procedure contemplated in sub-section (4) of Section 3A of THE ACT “ that is disputing the correctness of the determination of the ACP of the factory made under the RULES of 1997. 14. In all these appeals, the ACP of the concerned factories was determined by different orders. Obviously the ACP so determined was less than the actual production of each one of the factories for the financial year 1996-97. Therefore, the ACP was “deemed” to be the same as the actual production for the financial year 1996-1997 in view of the mandate contained under Rule 5 of the RULES of 1997. 15. Aggrieved by the determination of the ACP each of the appellants pursued multiple legal proceedings: They appealed to the CESTAT; They invoked the authority of the Commissioner of Central Excise under sub- section (4) of Section 3A; and Simultaneously, they filed writ petitions challenging the validity of the abovementioned Rule 5 in the Karnataka High Court. 16. The writ petitions came to be dismissed by the judgment dated 07.12.2005 of the learned Single Judge of the Karnataka High Court. Aggrieved, the appellants herein carried the matter by way of an intra- court appeal to a Division Bench of the Karnataka High Court. By the judgment under appeal, a Division Bench of the Karnataka High Court dismissed the appeals. Hence these appeals. 19. According to the appellants, Section 3A(2) of THE ACT itself creates a fiction for the purpose of determining the ACP while authorizing the Government of India to make rules for the determination of ACP. Therefore, the RULES cannot prescribe a further fiction. The appellants placed heavy reliance for this proposition on a judgment of this Court reported in Agricultural Market Committee v. Shalimar Chemical Works Ltd., (1997) 5 SCC 516. 21. To determine the issue, it is required to examine the scheme of Section 3A of THE ACT, the relevant Rules framed thereunder and the mischief which Parliament sought to control while enacting Section 3A. In the context, we must keep in mind the general scheme of THE ACT. 28. The argument of the appellants with respect to Rule 5 appears to be two-fold: (i) a legal fiction (deeming provision) can only be created by legislation but not by subordinate legislation; and (ii) even otherwise a fiction created by the subordinate legislation cannot be in contravention of the provisions of the parent enactment. 30. However, the question in this case is “ whether Section 3A(2) and/or Rule 5 really create fictions. To understand the same, the context and purpose of Section 3A and Rule 5 is required to be examined. The Scheme and purpose of Section 3A is already examined at para 20. Rule 5 stipulated that if the ACP determined in accordance with the preceding four Rules is less than the actual production of a particular assessee for the financial year 1996-1997, the authority determining the ACP is required to abandon the figure of ACP arrived at by employing the procedure contained in Rules 1 to 4 and adopt the actual production achieved by the assessee for the financial year 1996-97 to be the ACP of that assessee. In our opinion, Section 3A(2) only embodies a rule of evidence which command the department to presume certain facts. Such presumptions are not unknown to law. Section 114 of the Indian Evidence Act, 1872 enacts a rule of evidence which requires a court to presume the existence of any fact which the Court thinks likely to have happened regard being had to common course of natural events etc. The presumption created under Rule 5 is similar to the one contained in illustration (d) to Section 114 of the Evidence Act. 33. Whereas presumptions are rules of evidence for determining the existence or otherwise of certain facts in issue in a litigation. “Presumptions were inferences which the judges were directed to draw from certain states of facts in certain cases, and these presumptions were allowed a certain amount of weight in the scale of proof; such a presumption and such evidence amounted to full proof, such another to half full, and so on.” Nothing is brought to our notice to say that a non- sovereign law making body can not make a rule of evidence containing a presumption. In our opinion, Agricultural Market Committee is not an authority for the proposition that a presumption cannot be created by subordinate legislation. 34. Rules of evidence are the principles of law which command the courts or other bodies whose duty is to determine the existence or otherwise of certain facts. The Anglo saxon legal system recognises that facts could be established either by direct or circumstantial evidence. Presuming certain facts, if they are so commanded by law has always been recognised by our legal system to be one of the accepted processes for those bodies charged with the duty of collecting evidence. Therefore, law making bodies make provisions incorporating presumptions wherever they believe it appropriate. But such practices have well recognised qualifications and limitation. Section 114 of the Evidence Act embodies some of the basic principles of the law of presumptions and the limitations thereon. Technically, the Evidence Act may or may not be applicable to every body charged with the responsibility of collecting evidence. But the principles underlying the provisions do constitute valuable guides. They are based on sound principles of jurisprudence deduced from the observation of human conduct, natural course of events and logic etc. 35. Presumptions are of two kinds, rebuttable and irrebuttable. Normally any presumption is rebuttable unless the legislature creates an irrebuttable presumption. It is a different question “ whether an irrebuttable presumption could be created by a non-sovereign law-making body? That question has not been argued before us and, therefore, we do not examine that proposition. 37. Section 3A of THE ACT authorises the Government to make rules for determining the ACP of the manufacturers. It further declares that the ACP so determined “shall be deemed to be the annual production of such goods by such factory”. In other words, sub-section (2) commands that a factory whose ACP is determined in accordance with the rules made thereunder must be believed to produce the same quantum of goods equal to the ACP for every succeeding year. The question is “ whether such a declaration creates a legal fiction or only a presumption (rule of evidence)? 38. We have already noticed that by definition a “fiction always conflicts with the reality whereas presumption may be proved to be true”. It therefore follows that there is no possibility of a fiction being rebutted by evidence. The belief flowing from Section 3A(2) regarding the annual production of a manufacturer could be rebutted by adducing evidence. Section 3A(4) provides for such rebuttal. Therefore, in our opinion, Section 3A(2) embodies only a rule of evidence (presumption) but does not create a legal fiction. The language employed by the draftsman is likely to mislead to a conclusion that a fiction is created. But on a true and proper construction of the entire Section 3A the only possible conclusion is that Section 3A(2) embodies only a presumption (rule of evidence). 39. Under the Scheme of the RULES OF 1997, the first four rules stipulated the procedure for determining the ACP of the manufacturers of the class to which the appellants belong, by adopting the third of the abovementioned three procedures (mentioned in para 36 supra). The lawmaker was conscious of the fact that the actual quantum of goods that can be manufactured in a factory does not solely depend on the ACP of the factory. It depends upon a number of other variable factors too. For example, though the machinery employed by a manufacturer has the technical capacity to produce a certain quantum (maximum production) of goods, in a given interval of time, the manufacturer may not always achieve the maximum production because of the non-availability of either the requisite energy to operate the factory or finance or raw-material etc. The first four rules of the RULE OF 1997 create a scheme of evidence by which a presumption (based on the technical specification of the manufacturers’ machinery) of the possibility of a certain quantum of production is to be made. However, the lawmaker visualized that in certain cases such a process may lead to a conclusion that the ACP of a manufacturer is less than the actual production that was achieved by employing the same machinery at an earlier point of time – a conclusion inconsistent with the established factual data. Therefore, it is stipulated under Rule 5 that in such circumstances the ACP of the factory must be “deemed to be” equivalent to the actual production achieved in the financial year prior to the coming into force the RULES OF 1997. Rule 5 recognises the possibility of an error in arriving at the ACP by applying the formula contained in Rule 3. Because the formula itself is based on certain assumptions. Therefore, Rule 5 provides that the determination of the ACP made in accordance with the procedure contained in Rule 3 is liable for correction in some cases, in the circumstances indicated therein. 42. The determination of the ACP is a one time affair. It appears from the factors indicated in the Rule 3 that the ACP would remain unaltered so long as there is no change in the machinery employed and the ‘number of utilized hours” of the machinery remains constant. But the “number of utilized hours” could vary from time to time depending upon various factors, such as, the availability of electric power, capital or labour etc. Such variations could result in a situation that the actual production of the factory for any given interval of time is less than the ACP. Therefore, it is declared under Section 3A(4) that an assessee is entitled to seek determination of the actual production of his factory if it is less than the ACP. 43. In our opinion, such an opportunity provided under Section 3A(4) is a recurring opportunity available to the assessee from time to time. We reach this conclusion in view of the language of sub-section (4) more particularly “the Commissioner of Central Excise shall determine the amount of duty payable by the assessee with reference to such actual production at the rate specified under Section 3″. Obviously, the determination of amount of duty payable by the assessee is not a one time affair. Such a determination is to be made periodically. Therefore, the opportunity of placing evidence for the establishment of actual production for a period relevant for the assessment must be available to the assessee from time to time. 44. Whether such a statutory right is in any way curtailed by Rule 96ZP(3) of the Rules of 1944 is required to be examined. Rule 96ZP(3) is relevant in the context of the assessment of duty for those assessees who choose to opt for the payment of the excise duty on a monthly basis. The duty payable by such assessees would be Rs.300 x ACP in metric tonnes. Rule 96ZP(3) stipulates that an assessee seeking to avail the scheme (concessional rate of duty) under Rule 96ZP(3) is required to make application in the prescribed format. The Rule is silent about the point of time at which such an application is required to be made. But sub-rule (3) stipulates the time within which the duty is required to be paid, i.e., in the “beginning of each month” and “latest by the tenth of each month”. 48. It is argued by the learned counsel for the respondent in view of the two judgments of this Court reported in Commissioner of Central Excise & Customs v. Venus Castings (P) Ltd., (2000) 4 SCC 206, Union of India & Others v. Supreme Steels and General Mills & Others, (2001) 9 SCC 645, the question regarding the vires of sub-rule (3) of Rule 96ZP of the Central Excise Rules, 1944 is no more res-integra. It is also submitted by the respondent that this Court has already declared that the assessee who makes a choice once to avail the scheme under sub-rule (3) cannot go back on his choice. 49. In both the abovementioned cases, this Court was dealing with Rule 96ZO(3) of the Central Excise Rules, 1944. Neither the vires of Rule 96ZP(3) nor its interpretation actually fell for consideration of this Court in either of the abovementioned cases. However, in Venus Castings, at para 9, a reference was made to Rule 96ZP and this Court observed that “Rules 96ZO and 96ZP provide for procedure to be followed by the manufacturer of ingots and billets and hot re-rolled products respectively. The scheme envisaged under these provisions is identical”. 52. With respect, we are of the opinion that such a statement of law has no basis either in precedent or on any settled principles of interpretation of statutes. On the other hand, it is in conflict with a long settled line of authorities that subordinate legislation which is in conflict with the parent enactment is unsustainable. 53. The decision in Supreme Steels was rendered by a Bench of three learned Judges. The vires of Rule 96ZO was directly in issue in Supreme Steels. This Court in Venus Castings noted that “in these proceedings the validity of the provisions of the Rules is not in challenge but only their interpretation and application have to be examined”. However, the learned Judges in Supreme Steels opined that the controversy was finally settled by the judgment of this Court in Venus Castings. 55. Rule 96ZO deals with levy, assessment and collection of excise duty on the manufacture of non-alloy steel ingots and billets. Duty on such goods is payable at the rate of Rs.750/- per metric tonne. Sub-rule (3) prescribes levy and collection of a lump sum of Rs.5 lakhs per month in cases of those manufacturers who have a total furnace capacity of three metric tonnes installed in their factories. However, such a scheme is available at the option of the assessee. In other words, a manufacturer has a choice to make a lump sum payment of Rs.5 lakhs, irrespective of his actual production for that month, in two instalments instead of paying the duty at the rate of Rs.750/- per metric tonne of the actual production of the manufacturer. Whether the capacity of three metric tonnes in the said sub-rule is the capacity of the factory per day or per month or per annum is not very clear from the language of the Rule. The expression does not appear to be defined under the Rules. 56. Coming to Rule 96ZP(3), it also provides an option to the assessee falling under the Rule to pay the duty at the concessional rate of Rs.300 per metric tonne contrary to the liability of the assessees who do not opt to avail the procedure under sub-rule (3) to pay Rs.400 per metric tonne. But both the classes of assessees are required to pay the total duty calculated on the ACP of the factory. While those who choose to pay the lower rate of tax under sub-rule (3) pay the tax every month and those who do not opt to avail the scheme under sub-rule (3) are required to pay tax long after duty actually falls due as indicated under sub-rule (1) and (2). 58. Therefore, we find it difficult to accept the submission of the respondent that the issue is covered by the judgments of this Court in Venus Castings and Supreme Steels. In our opinion, for the reasons mentioned above, these two judgments require a further examination. Apart from that, these judgments did not deal with vires of Rule 96ZP(3). However, in view of the fact that Supreme Steels is a decision rendered by a Bench of three learned Judges, we deem it appropriate that the question of law be settled by a Bench of an appropriate strength. We, therefore, direct the Registry to place the matter before Hon’ble the Chief Justice of India for further orders. Ins. By Act 18 of 2008, sec. 79 (w.e.f. 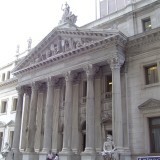 10-5-2008). Earlier section 3A was inserted by Act 81 of 1956. sec. 2 (w.e.f. 22-12-1956) and was omitted by Act 58 of 1960, sec. 2 and Sch. I (w.e.f. 26-12-1960) and was again inserted by Act 26 of 1997, sec. 81 (w.e.f. 14-5-1997) and was amended by Act 10 of 2000, sec. 93 (w.e.f. 1-4-2000) and was again omitted by Act 14 of 2001, sec. 121 (w.e.f. 11-5-2001). A . Section 3A (2) deems the annual production capacity as the actual production and the manufacturer has to pay duty on the annual production capacity without reference to actual production. A subordinate legislation cannot introduce a deeming provision and that too contrary to the deeming provision in the plenary legislation. The statutory presumption under Section 3A is of a limited character and being a fiscal legislation has to be strictly construed in the sense that any factory which is not contemplated by the Act cannot be taken into consideration to raise a presumption for levy of excise duty. Being a delegated legislation the delegate which has been authorised to make subsidiary rules has to work within the scope of the Act or the policy laid thereunder. The delegate under the grab of making rules cannot legislate on the field covered by the Act and has to restrict itself to the mode of implementation of the Act”. The creation of the legal fiction under Rule 5 is beyond scope of the legislative policy to levy excise duty on certain notified goods on the capacity of production determined under the formula specified in rule 3. Such legal fiction can be created only by a legislature and not by a delegate in exercise of rule making power. Also Section 3A (2) only authorises the Central government to make rules providing for determination of the annual capacity of production or such factor relevant to the annual capacity of production. The section 3A(2) does not authorize the Central government to create further legal fiction on the annual capacity of production which is exclusively within the domain of the legislature. Thus the legal fiction created in rule 5 that in case the annual capacity determined by the formula in sub rule 3 of rule 3 in respect of a mill, is less than the actual production of the mill during the financial year 1996-97, then the annual capacity so determined shall be deemed to be equal to the actual production of the mill during the financial year 1996-97 is beyond the scope of the delegate and is therefore liable to be declared ultra vires, arbitrary violative of article 14, unconstitutional and bad in law. Reference may be made to (1997) 5 SCC 516  The relevance of the financial year 1996-97 in the context of the RULES is that the RULES are made and brought into force with effect from the 1st of August, 1997. The financial year 1996-1997 is the financial year immediately preceding the making of the RULES of 1997. 1  Section 114. 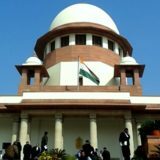 Court may presume existence of certain acts:- The court may presume the existence of any fact which it thinks likely to have happened, regard being had to the common course of natural events, human conduct and public and private business, in their relation to the facts of the particular case. Hukam Chand Etc. v. Union of India & Others, AIR 1972 SC 2427 : (1972) 2 SCC 601, Para 8 .The underlying principle is that unlike Sovereign Legislature which has power to enact laws with retrospective operation, authority vested with the power of making subordinate legislation has to act within the limits of its power and cannot transgress the same. The initial difference between subordinate legislation and the statute laws lies in the fact that a subordinate law making body is bound by the terms of its delegated or derived authority and that court of law, as a general rule, will not give effect to the rules, thus made, unless satisfied that all the conditions precedent to the validity of the rules have been fulfilled (see Craies on Statute Law, p. 297, Sixth Edition).